Thera-Band® is the world's leading brand of exercise products with progressive resistance for therapeutic, sports and fitness training. 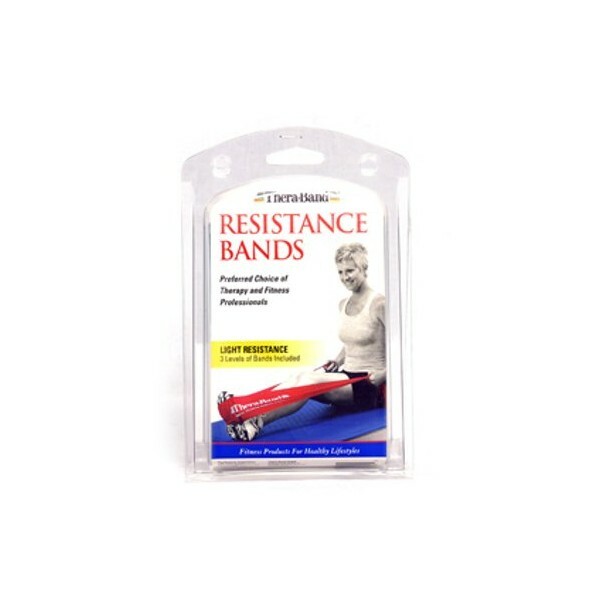 The Thera-Band resistance bands strong set of 3 provides virtually unlimited application possibilities for increasing strength, physical mobility and flexibility. The Thera-Band set consists of 3 bands with different strengths particular suitable for fitness and muscle growth exercises. The bands are made of natural latex and are 1,5m long and 15cm wide. Zeer vlotte en correcte levering. Artikel voldoet prima.